Short post this week on the comic for Investing.com. It deals with the current negotiations between the U.S. and Iran over their nuclear program and Benjamin Netanyahu's opposition to said negotiations (voiced during a speech given to the U.S. Congress). I was asked by the crew at Investing.com to draw a playground. 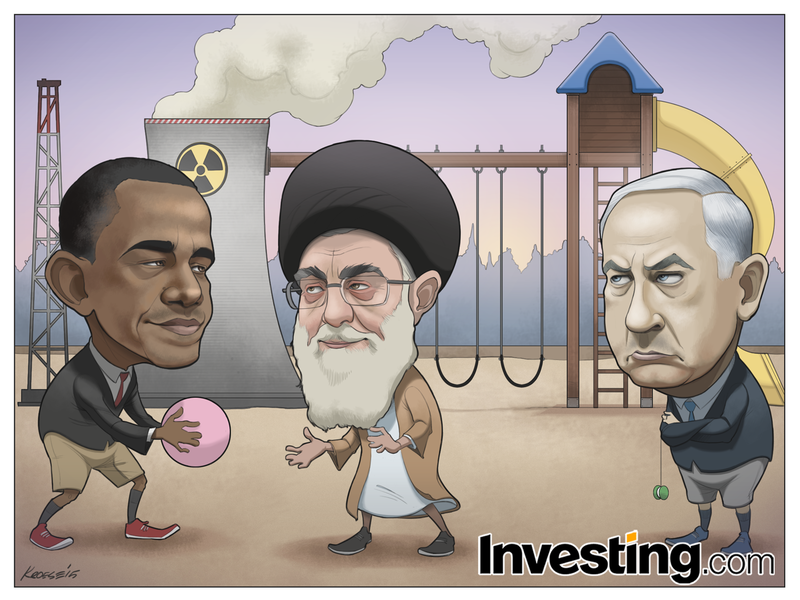 The playground needed to have a nuclear cooling tower and an oil rig (to symbolize the nuclear negotiations and Iran's oil industry) along with the usual playground accoutrements. 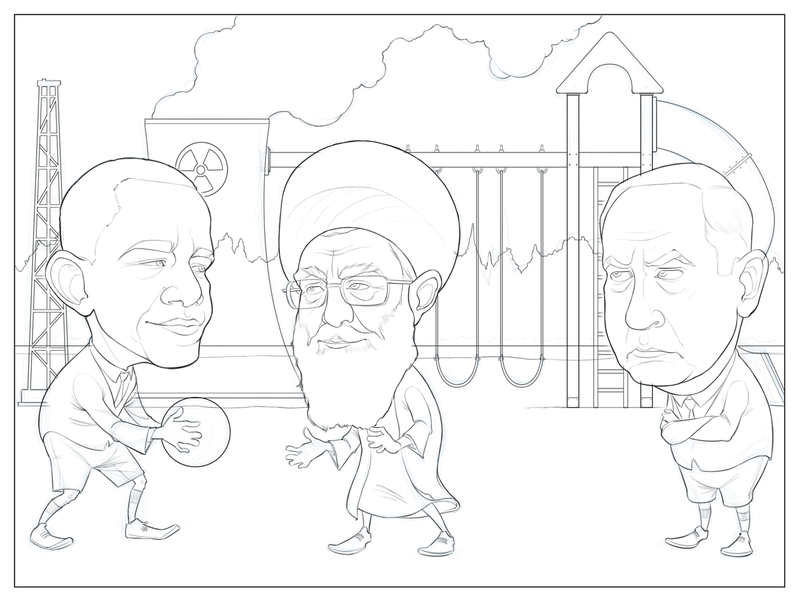 On one side of the playground I was asked to draw Netanyahu playing by himself and scowling over at Barack Obama and Ayatollah Ali Khamenei, who were to be playing together on the opposite end of the playground. There won't be too much post-game analysis on this one. Like last week, there just wasn't a lot of time to think about composition and layout on this one. Three characters and a complex background meant I was just trying to keep my head above water this week. Even with a straightforward layout, this one took all day long. 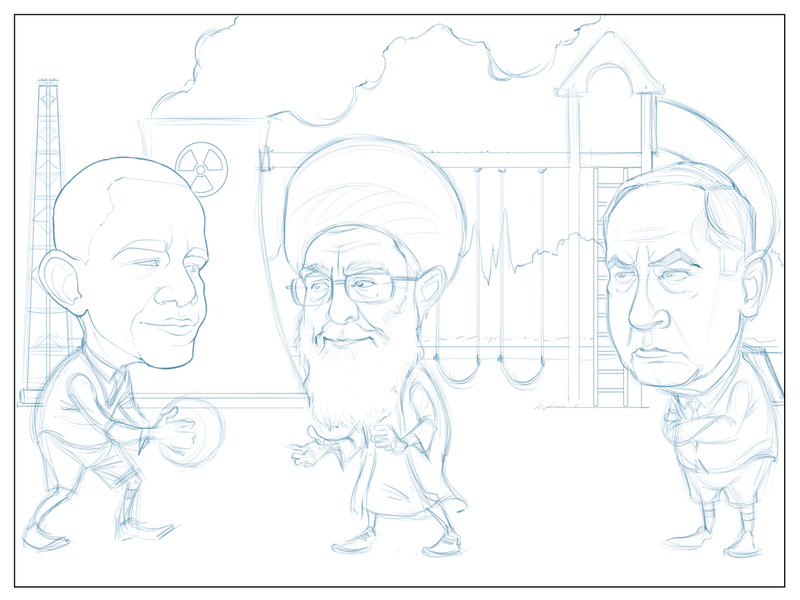 But I did get to draw Khamenei and Netanyahu, neither of whom I've had the pleasure of drawing before. So that was fun. On another topic, I haven't posted much except for the Investing comics in several weeks. I've been working on several other projects, but I'm not exactly sure which ones I can share and which I have to keep under wraps. But I'll be posting some new, different work soon. Promise. Investing.com: Big merger, small post.